So says Ken Loon, who co-founded The Naked Finn 5 years back at Gillman Barracks with his school mate Willy Tay. “It is important to really understand what you’re getting, rather than just listening to what others tell you. For conventional wisdom that is passed down in the marketplace, some are true and some are not. So it’s our job to find out what is true and what is not.” He applies this logic to the way he manages The Naked Finn. When The Naked Finn opened in 2013, Ken Loon relied on suppliers to import fresh seafood. But it did not take long before he realised that the information and the quality of ingredients provided were not what they were looking for. It was then that he decided to “hunt on our own for stuff”. He ventured to the Seafood Expo in Hong Kong, then stepped further out to Seafood Expo Global in Brussels, the biggest in the world. Here he established contacts and rubbed shoulders with the who’s who in the seafood trade - all in a bid to find out “who has better quality stocks”. He also invested heavily in books. On a far corner at The Naked Finn, there is a mini library of scientific books; in them, data collected by scientists on technical details, such as the origins, habitat and other vital information on seafood. Coupled with intense research online, Ken Loon was able to hypothesise what certain species taste like and then venture on to import and buy. An extremely important source of valuable information actually came from industry experts he spoke to. His recent ingredient sourcing trip took him to Hokkaido, where he met with farmers who supplied him vegetables, to meeting with new suppliers such as Maitake mushroom producers and wagyu farmers. The MICHELIN guide also followed him to fishery ports in Tomakomai and Hakodate, and saw him all excited bidding for the day’s freshest catch. This approach to ingredient sourcing has led him to explore and experiment with 184 species across crustaceans, molluscs, demersal fish, salmon and many others. At The Naked Finn, there are two menus - the fixed menu comprising locally farmed barramundi, wild-caught ‘baby’ Indian squid, yesso scallop, wild-caught New Zealand littleneck clam, and a whiteboard, where there are more exciting seasonal varieties, mostly ingredients such as the kinki or the rough scale flounder, that have been freshly auctioned in Hokkaido. His step by step approach is also extended to how he experiments with new species of seafood. He cannot contain his excitement when speaking about new species and discoveries. The next step is to decide ways with which to season and then how best to cook it, either steamed, grilled, flash fry, pan fry, deep fry or charcoal. And all of these is systematically organised neatly and documented. His approach is also to utilise each and every part of the ingredient and reduce wastage. For one, bones are almost always used to cook stock, livers extracted to be made into a sauce, that could go well with another ingredient. He is mindful of the fact that much time has been expended, sourcing for ingredients in the best condition and so he wants to do the least to keep the original flavour intact. This path he took in the F&B industry has roots deeply sunken in his childhood. He remembers not eating good fish in his childhood. His fascination with fish deepened when at the age of 9, his dad got him an aquarium. These aquariums got bigger and bigger and there came a point in time when he was able to keep his seafood such as the flathead lobster and prawns live in his own tanks. When he decided to leave a corporate position to eke out a seafood place, his wife chided him for being silly and offering seafood without much seasoning. “Ultimately, it is about keeping my team, having promotional opportunities for them, as long as I am not losing money and making a bit of money, watching them grow, from dating and getting married to having kids, this is the entire thing that worked for me, it is the right balance of life’s condition i want to be in.” His regular customers, it seems, understand that honesty. 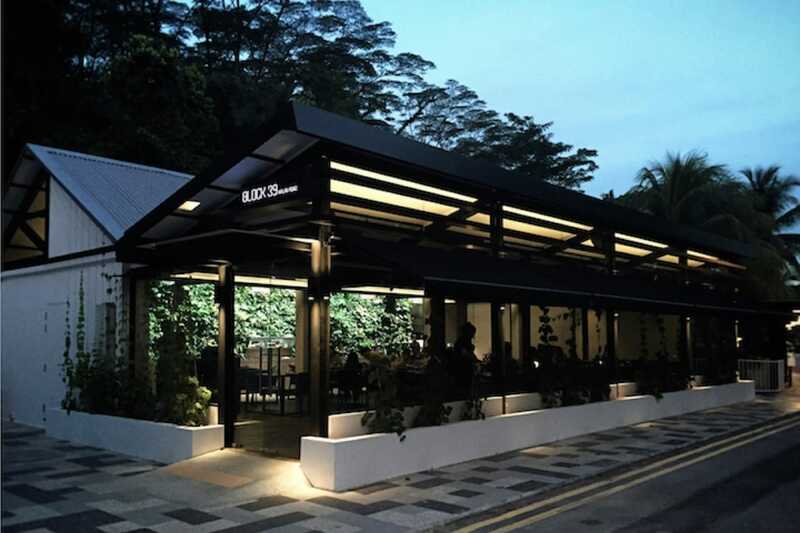 Prominent London-based restaurateur Alan Yau, who is famed for starting Hakkasan, opens his maiden Chinese fine-dining restaurant-lounge bar in Singapore. Learn how to whip up this classic Italian pasta dish from chef Marco Manocchio of Dolce Vita.